Well, this was a great way to end a work day. I came home, saw this sitting in my fridge and thought, yes, yes I’m going to find out what Jenny Said. All puns and terrible sentences aside, the double dry-hopped version of Jenny Said crushed it. I’ve been enjoying Singlecut’s DDH beers lately – some have felt like they missed the bar a little, but this one did not feel like that. I sat on this for 2-3 weeks and I think that really helps seal in or build some of the flavors. DDH Jenny Said is something I will definitely say if you see it, you should try it out. 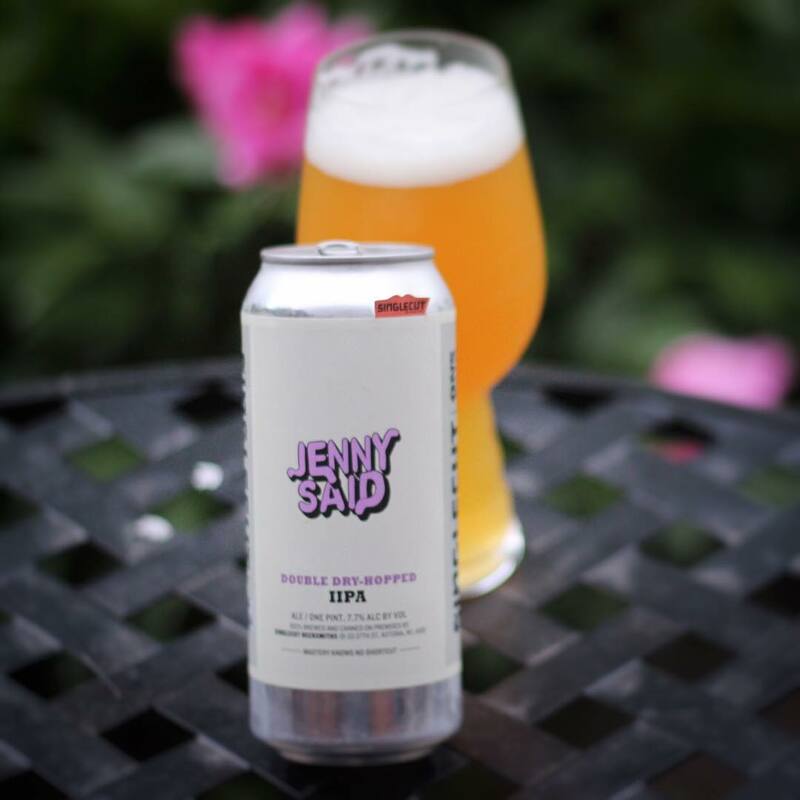 Double Dry-Hopped Version of Jenny Said!